Let Casa Bella Construction, an award winning builder, create your beautiful and enduring home. A home that is both amazing and functional, marrying elegance with practicality. A home that articulates who you are and welcomes those you love. Casa Bella Construction views every house as a legacy, every joint as a point of pride. 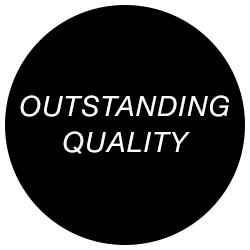 Our homeowners expect quality. They know how to look for it. They select us because detail and value are important to them, built into every element of every home. Details define a home, from the care with which your builder finishes the architectural detail to the care with which every foot of concrete is poured, every timber selected, every joint fit, every pipe placed, every wire strung and every tile grouted. First, we’ll turn your ideas and requirements into a functional and well-designed floor plan that won’t break your budget. Then, we’ll guide you through the selection process for exterior and interior finishes and amenities. This includes selecting items like stucco colors, stone, cabinets, flooring, countertops, lighting, appliances and water features. Next, we will execute the plan to the highest standards in craftsmanship, attention to detail, and energy efficiency. For every home we build, we manage each aspect of the construction process with a commitment to excellence, timeliness, and open communication. We look forward to creating your extraordinary home and delivering the value, quality, and customer satisfaction you deserve. Growing up around construction, both Dan & Cindy Fulcher of Casa Bella Construction were inspired by fathers who worked with their hands to create buildings and homes of great quality and design. Dan can remember wanting to be a part of the work even as a young child. Dan’s experience in full time home building started in early 1996. Five of those years were spent with a large local builder as a construction superintendent and estimator, the rest of his career has been developing Casa Bella Construction into what it is today. Between Casa Bella Construction and his previous experience, Dan has personally supervised the successful construction of over 125 homes, giving him a unique perspective that few others have. With a wealth of experience in each phase of home building and a meticulous eye for detail, Dan has become an award-winning master builder. It is Casa Bella’s commitment to design and build homes for our clients that are beautiful, unique, of outstanding quality, excellent value, yet functional in everyday life. We are dedicated to meeting our client’s needs and desires, complimenting them with the home design that matches their lifestyle. We provide excellent customer service and personal attention from initial planning stages, during the actual construction, and throughout the warranty period. An initial meeting is scheduled with Dan Fulcher to discuss general ideas for floor plan and style, desired finishes, financing options (if applicable), and review the Preliminary Questionnaire. This meeting will include a visit to your new home site. We know that budget is important. That's why, we have created the Preliminary Questionnaire to capture a detailed list of your desires and needs. A follow-up meeting will then be scheduled with Dan to review the proposed budget. If you like the proposal and wish to proceed to construction plans, you will sign a design agreement which covers home design and structural engineering (if applicable). A deposit payment of 1.5% of the estimated costs of construction is required with the signed design agreement. After the design agreement has been signed and deposit paid, together we will begin the Design and Selection Phase. During this phase, your plans will be drawn and finalized. You will also choose amenities for your new home, including exterior and interior finish selections (cabinets, tile, granite, plumbing fixtures, appliances, etc.). This phase typically takes 4-6 weeks. Once building plans are completed and amenities have been selected, we will bid out every aspect of the home to verify the initial proposed budget, typically a 2 week process. After you approve the finalized budget, you will sign a construction agreement and make an additional deposit of approximately 5% of the total costs of construction. Casa Bella will then submit plans to the appropriate government agency and homeowners association design review committee (if applicable). Upon receipt of the building permit, Casa Bella will begin construction. A three month and one year follow-up appointment will be scheduled after final walk-thru to repair any items covered under warranty. It is our commitment to continue the excitement of building a new home throughout all phases of construction and to foster an environment of teamwork, trust, and open communications. We look forward to working with you! Copyright © 2013 Casa Bella Construction.